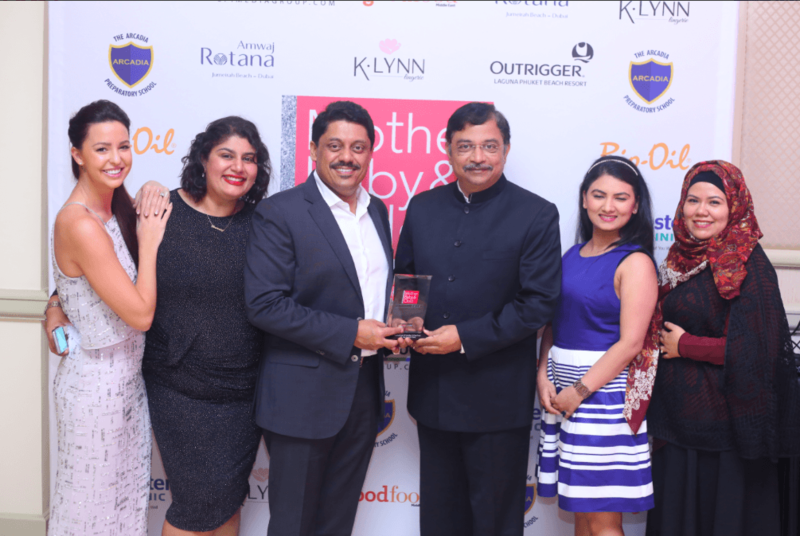 One of Dubai’s most prestigious magazines, Mother, Baby & Child magazine, held its annual Mother, Baby & Child Awards to honor some of the most prominent organizational entities in education, healthcare, entrepreneurship, aesthetics, retail, and beauty. The ceremony aims to acknowledge the contributions of brands and entrepreneurs who bring forth the best of their skills and abilities to provide an unprecedented service for the customers. The magazine is contributed towards promoting brands and service providers that aim to make a difference in mother and child care services to make lives easier. On December 7, 2016, the magazine held its 5th awards ceremony at Dubai’s Habtoor Grand Hotel to promote and acknowledge the services of some of Dubai’s highly prominent and emerging service providers in health, education, retail, and entrepreneurship. The aim of the ceremony was, and will always be, to encourage and support the entities that go out of their way to provide the best services for the UAE-based families through their consistent contribution towards supporting mothers and their nurturing babies. The ceremony had 31 award categories and 338 nominees that received 188,000 votes. The categories included Special Needs Education Centre of the Year, Aesthetic Clinic of the Year, Medical Clinic of the Year, Baby & Child Clothing Retailer of the Year, Dental Care Provider of the Year, Kids’ Sports Activity Centre of the Year, Baby & Child Footwear Retailer of the Year, Baby & Child Skincare Brand of the Year, Soft Play Venue of the Year, and After School Activity Centre of the Year, to name a few. Dr. Joy Clinic was honored with the “the best dental care provider of the year” based on the clinic’s unrivaled and consistent pedodontic dental service. Dr. Joy clinic is one of the most renowned dental clinics in Dubai with more than a decade of track record and dozen accolades that vouch for the clinic’s trustworthy customer care and unprecedented service. The clinic specializes in orthodontics, cosmetic dentistry, teeth whitening, general dentistry, gum treatment, dental implants, dental bridges and crowns, sedation dentistry, laser dentistry, root canal treatment, jaw joint disorder treatment, and snoring treatment in Dubai, to mention a few. Dr. Joy clinic aims to provide quality dental care to adults and children. The clinic utilizes one of the most advanced technological developments in dentistry to make sure that patients receive the best customer experience and long-lasting results that eliminate the discomfort and self-esteem issues related to their dental problems. In addition, the clinic has a highly specialized staff that is trained to handle myriad dental issues with dexterity and mastery; all the dental specialists at the clinic are certified dentists in Dubai with years of professional experience and expertise.